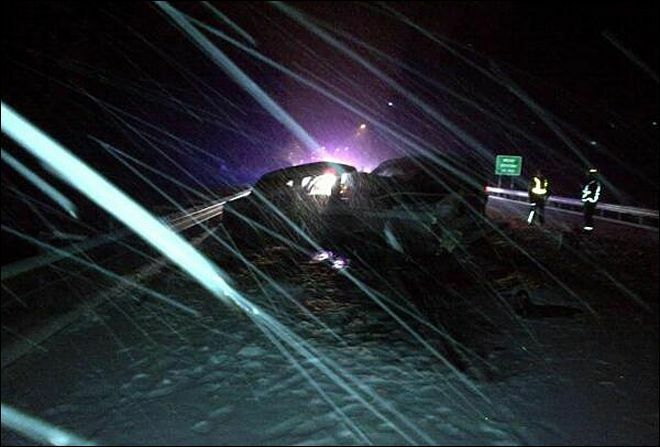 Police say that a man was killed in a snow-related car accident near Lake Stevens Saturday night on State Route 9. According to the Washington State Patrol (WSP), the fatal crash happened at around 10 p.m. Saturday, February 8 near the point of the highway where is connects with SR-92. The cause of the collision was due to speed and snow, unfortunately the driver was at fault. According to reports there was about one inch of snow on the highway at the time of the crash with snow still coming down heavily. Following the crash both SR-92 and SR-528 were closed. Trooper Mark Francis was first to the scene and reported the driver, Arthur Whetstone lost control on SR-9 and spun out sideways into northbound lanes, he was traveling southbound. As he traveled into oncoming traffic, he was struck immediately by a pickup truck. The driver of the pickup experienced minor injuries and was treated on the scene. Francis also stated that were many spinouts on this particular highway during the snow fall Saturday night. Before the winter season arrives and possible snow fall, drivers need to be ready for the hazards that come along with snow on roadways. It is important to have good tire treads on all four tries and to keep chains in your truck all winter long. As we experienced this past weekend, snow fall in Seattle can happen at any time and we cannot rely solely on the city to protect our drivers and passengers. Drivers need to be proactive in the winter season. If you believe you have a wrongful death lawsuit, contact Davis Law Group.